A new book suggests Edward Snowden may have been a spy, but what it reveals is its author’s own duplicity. Edward Snowden. Photo illustration by Michael Xiao. Edward Snowden was 29 years old when he reached out to journalist Glenn Greenwald and documentary filmmaker Laura Poitras (who in turn reached out to Gellman), offering them a trove of top-secret NSA documents that, he said, would lay bare the agency’s massive domestic (and global) digital data-mining apparatus. At the time, Snowden, whose computer skills were largely self-taught, was working under contract with Dell as a systems administrator at the NSA’s regional cryptographic facility in Hawaii. He took that job after stints with the CIA in Switzerland safeguarding diplomats’ computers and with the NSA in Japan, where he was also a Dell contractor, teaching US military personnel how to shield their computers from hackers. It was in Japan that Snowden became a “China specialist” with an expertise in Chinese cyber-counterintelligence, according to Luke Harding, author of The Snowden Files (2014), one of the first books published about him. Among other things, Snowden taught senior Defense Department personnel how to shield their data from the growing legion of Chinese hackers, the most notorious of which is Unit 61398, the elite cyber-combat arm of the People’s Liberation Army. A professed Ron Paul–supporting libertarian who had grown increasingly disturbed by what he saw in his work as unconstitutional government overreach through sweeping, warrantless phone and data capture, Snowden signed on for the Dell job in Hawaii specifically to remove documents that revealed how the US government was spying on innocent Americans, often with the collusion of Internet service providers and tech companies like Google, Microsoft, and Apple. He hoped to pass on this information to journalists who would then push it out into the world. As a systems administrator with a high security clearance, Snowden was able to move around NSA computers without leaving a trace or arousing suspicion. (He also moved around his workplace wearing a hoodie from the Electronic Frontier Foundation that sported a caricature of the NSA logo: an eagle with headphones over its ears.) Once he’d downloaded the files he was after, Snowden took another NSA contracting job, this one with Booz Allen, also in Hawaii. If he could crack the system there, he would have access to a different cache of documents, many of which detailed the American surveillance state’s global reach. Over a period of about six weeks, Snowden was able to pull the documents he was after, ferrying them out of the building on thumb drives. Having succeeded in that task, he quietly left Hawaii and decamped to Hong Kong, carrying four computers loaded with incriminating material. Once there, he worked on executing the next part of his plan: passing the purloined files along to well-known journalists who could alert the world to what the NSA was doing. He checked into the upscale Mira Hotel on May 20, 2013, under his own name and using his own credit card. Greenwald and Poitras met him there on June 3. Two days later, Greenwald’s first story, about a secret court order requiring Verizon to hand over the phone data of millions of Americans to the NSA, ran in The Guardian. It threw the intelligence community, the Obama White House, the US government, and the world at large into a maelstrom that continues to this day. The Edward Snowden in How America Lost Its Secrets is a very different person from the one chronicled by Greenwald and Harding. Epstein expends thousands of words painting a portrait of the young whistle-blower as a disaffected (based on his pseudonymous posts on tech blogs, many made when Snowden was in his late teens and early 20s), shallow (his girlfriend is a sometime pole dancer), conniving (he took a hacking course in India), cheating (Epstein claims, with absolutely no evidence, that Snowden stole the answers to an NSA employment test), self-promoting (why else would he reveal himself as the source for Greenwald’s and Poitras’s revelations? ), self-aggrandizing (no, he wasn’t a senior NSA employee who made $200,000 a year, as he told the two journalists, but rather an NSA contractor who made $133,000 in a position that didn’t give him the kind of access he needed to steal the documents he took), undereducated (he dropped out of high school) nothingburger. Such a fellow, Epstein suggests, would have been punching well above his weight to pull off such a remarkable heist by himself. And so, Epstein decides, he most likely didn’t. There’s only one problem with this narrative, however, and it’s the same one as before: No such foreign agent was ever found by the CIA, the NSA, or the FBI. After extensive investigations, the world’s best investigators came up empty-handed. But this doesn’t deter Epstein. Using a backhoe rather than a shovel, he points out that while no “hidden collaborator at the NSA” was ever found, this “does not necessarily mean such a mole does not exist.” True enough. And the same could be said of ghosts, the Loch Ness monster, and my doppelgänger in an undiscovered solar system. This is not investigative reporting. It’s not even reporting. It’s fantasy. Second, Epstein asserts that while Snowden arrived in Hong Kong on May 20, he didn’t check into the Mira until June 1, shortly before meeting with Greenwald and Poitras. In Epstein’s telling: “As I learned from the hotel staff, Snowden had registered there under his real name and used his own passport and credit card to secure the room, an odd choice if he was hiding out. He had checked in to the hotel not on May 20, as he had told the reporters, but on June 1, 2013.… Wherever Snowden stayed from May 20 to June 1, he apparently considered it a safe enough place from which to send Greenwald a ‘welcome package,’ as he called it, of twenty top secret NSA documents on May 25.” Later, Epstein suggests that Snowden was probably hanging out with his Chinese handlers during this period. Finally, there’s the matter of exactly how many documents were stolen. We know that Snowden gave the reporters somewhere around 58,000 files. But how many files did he actually take? That precise number has never been established; even the NSA doesn’t know. Here’s Epstein again: “The NSA could say that 1.7 million documents had been selected in two dozen NSA computers during Snowden’s brief tenure at Booz Allen…. Of these ‘touched’ documents, some 1.3 million had been copied and moved to another computer.” While Epstein concedes that a certain number of these were duplicates, he suggests nonetheless that these “missing” files were Snowden’s real target; what he gave Greenwald and Poitras was perhaps a red herring, a diversion that let him hand off the rest to the bad guys. The use of “touched” here is part of the problem. It’s a vague term that’s largely meaningless, especially in the context of Snowden’s theft, since he used a so-called “spider” program to crawl through the masses of documents in search of specific ones. That program was likely to “touch” many more files than it actually downloaded. By inflating the number and then wondering—wink, wink—what happened to the files that Snowden didn’t give to journalists, Epstein continues to imply that he was working against American interests at the behest of one or more of our adversaries, using the stolen files as collateral in his escape from American justice. One fact in the Snowden saga that Epstein gets absolutely right— because it’s indisputable—is that on June 23, two weeks after revealing that he was the person behind the NSA leaks, Edward Snowden landed in Russia. Along the way, he was helped by Julian Assange and Assange’s WikiLeaks associate Sarah Harrison. After the United States revoked Snowden’s passport, Assange arranged for travel documents from his hosts at the Ecuadoran embassy in London, where Assange was self-exiled to avoid being extradited to Sweden on sexual-assault charges. The idea was to get Snowden from Hong Kong to a South American country that would be disposed to grant him asylum. To get there, he’d have to hopscotch across the world, avoiding countries and airspace where he could be intercepted by the US government, which had issued a warrant for his arrest. Again with Assange’s assistance and counsel, that meant traveling through Russia, where he ultimately landed. Snowden ping-ponging from one US foe (China) to another (Russia) is a conspiracy theorist’s dream. No matter that by the time he arrived in Russia, his travel papers had been revoked by Ecuador. Or that Snowden appealed to 20 countries for asylum and was rejected by all of them. Or that he spent 39 days in a Russian airport’s transit hotel waiting as these appeals were summarily rejected, until he had little choice but to accept Russia’s offer of temporary asylum if he didn’t want to go back to the United States, where some lawmakers—including Congressman Mike Pompeo, now head of Trump’s CIA—called for his execution. As Harding pointed out in his book: “Snowden’s prolonged stay in Russia was involuntary. He got stuck. But it made his own story—his narrative of principled exile and flight—a lot more complicated. It was now easier for critics to paint him not as a political refugee but as a 21st century Kim Philby, the British defector who sold his country and its secrets to the Soviets.” That Snowden’s Russian lawyer, Anatoly Kucherena, had direct ties to the FSB, the Russian intelligence agency, and to Vladimir Putin himself also didn’t help things. Not surprisingly, Epstein makes much of Snowden’s connection, through Kucherena, to the FSB: If Snowden wasn’t working for the Chinese, Epstein suggests, then he must be working with the Russians, who likely got to him when he was in Hong Kong. Or maybe the Russians recruited him well before that. Or maybe they made contact after he’d gone public via Greenwald, Gellman, and Poitras. Or, at the very least, maybe the Russians turned Snowden after he arrived in Moscow. There is only one word in the foregoing that is demonstrably true, and that word is “scenario.” Epstein is spinning a story here. Edward Snowden has consistently said that he never handed over any NSA documents to the Chinese or Russians, and that his expert knowledge of cyber-defense ensured that no one would be able to gain access to them. In his letter to Gordon Humphrey, a former Republican senator from New Hampshire who had written to Snowden praising his actions, “provided you have not leaked information that would put in harm’s way any intelligence agent,” Snowden asserted that “no intelligence service—not even our own—has the capacity to compromise the secrets I continue to protect.… [O]ne of my specializations was to teach our people at DIA [Defense Intelligence Agency] how to keep such information from being compromised even in the highest-threat counter-intelligence environments (i.e. China).” Interviewed by National Public Radio, Barton Gellman put it this way: “I believe that he has rendered himself incapable of opening the archive while he is in Russia. That is to say, it’s not only that he doesn’t have the key anymore, it’s that there’s nothing to open anymore.” And while we may never know if the Russians or Chinese obtained Snowden’s purloined files, one can’t help but wonder whether sophisticated spy agencies like the FSB and the Chinese MSS already had access to the material Snowden downloaded, given that the security was so lax at the facilities where he worked. About one thing, however, there is no doubt: It was a coup for Putin to welcome the most wanted man in America to Russia. As the security blogger John Robb wrote recently, in addition to oil, Russia’s other main export is kompromat, the kind of information that can be used for blackmail (as in the alleged Trump “golden showers” video), as well as anything else that can be used to discredit or confuse an adversary. For a couple of years before the Russians began to seriously mess with the American electoral process, Snowden’s residence in Moscow—where he was allowed to move around freely, give talks via Skype, sit on the board of the Freedom of the Press Foundation, and criticize both WikiLeaks and the Russian government—had to be an embarrassment for Barack Obama. Inadvertently, Snowden became the embodiment of kompromat. Even without handing over files, he was valuable to the regime. 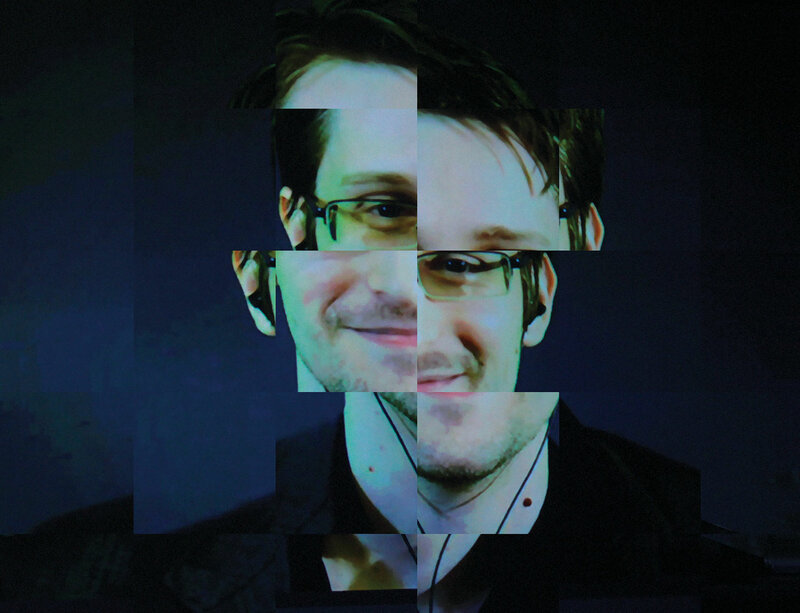 In the end, and quite ironically, there is something retrograde about a book claiming that Edward Snowden is essentially a tool of the Russians, when there’s no question that the same could be said of the current American president and a number of his cabinet members and advisers. With Putin’s pals Donald Trump, Stephen Bannon, Rex Tillerson, and Michael Flynn in power, it remains to be seen what use the Russian president will have for Edward Snowden. In the meantime, Edward Jay Epstein might consider investigating a real spy story: the arrest this January of four high-ranking Russian intelligence officers, all charged with treason for being American operatives, and the rumor that they were exposed as moles by someone in the Trump administration. If that turns out to be true, the question will not be how America lost its secrets, but why we’re giving them away. Sue HalpernSue Halpern is the author of the forthcoming novel Summer Hours at the Robbers Library. She is a scholar in residence at Middlebury College.